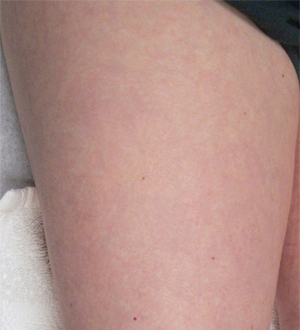 Spider veins collect blood and drain it into deeper veins. The process is known as a passive collection network which is not essential to the circulatory process. They function like collateral veins. 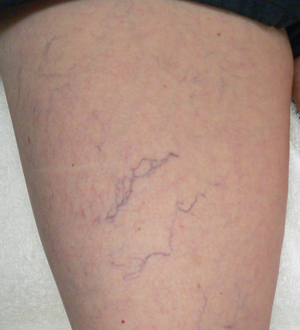 Sclerotherapy is used to destroy these veins and channel the blood to healthier and more functional veins. The sclerosing agents promote an enzymatic reaction the damage the veins. The irritating solution causes the vein the shrink and disintegrates gradually as the fade. There has been improvement in the sclerosing agents used for sclerotherapy as well as improvements of laser treatments such as YAG laser and IPL Intense Pulse Light. These treatments are more effective, less painful and provide better results. The hypertonic saline has been replaced with new detergent sclerosing agents. This is used to eradicate spider veins and reticular veins by injection. The more modern treatments contains anesthetic agent which promotes comfort during the procedure. The new products also have fewer side effects and adverse effects are eliminated. They are also more effective in reducing protein uptake in the veins and cause the veins to collapse and disappear.. The YAG Lasers and new IPL equipment are standard for treating facial telangectasias and superficial veins below the ankle. IPL is used to treat larger areas. It is ideal for stubborn veins. KTP laser also known as Diode-532 Wavelength is very effective but can be used in combination with the injection to produce an enhanced result that is lasting and affordable.